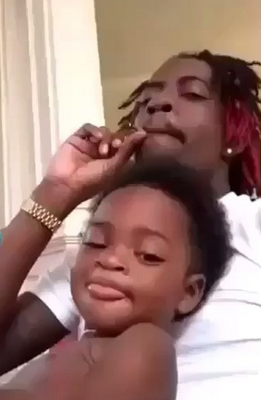 Yesterday, reports surfaced that Rich Homie Quan was being investigated by Child Services because of a video that shows him smoking a blunt while his son, Royal, sits on his lap. The video was apparently shared on Quan's own snapchat. Quan has now responded to backlash over the video and issued an apology via Instagram.